T and I are going to a Halloween party tonight and I still don't have my outfit planned. I was trying to brainstorm this morning, and thought it may be a good idea to start looking at the costumes I've worn in the past for a little inspiration. These pictures were just too good not to share. 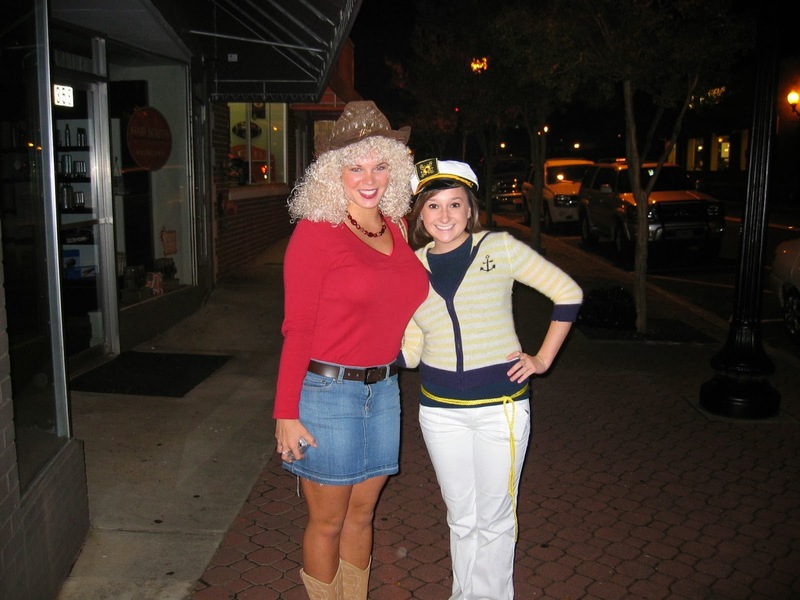 Here's a look at my Halloween costumes through my college years. For my Freshman year, I was a sailor. I'm proud of myself for not going with the "sluttier is better" theme that some college freshman succumb to. I can't guarantee that I got much attention from the guys that night, especially standing next to ol' Dolly. 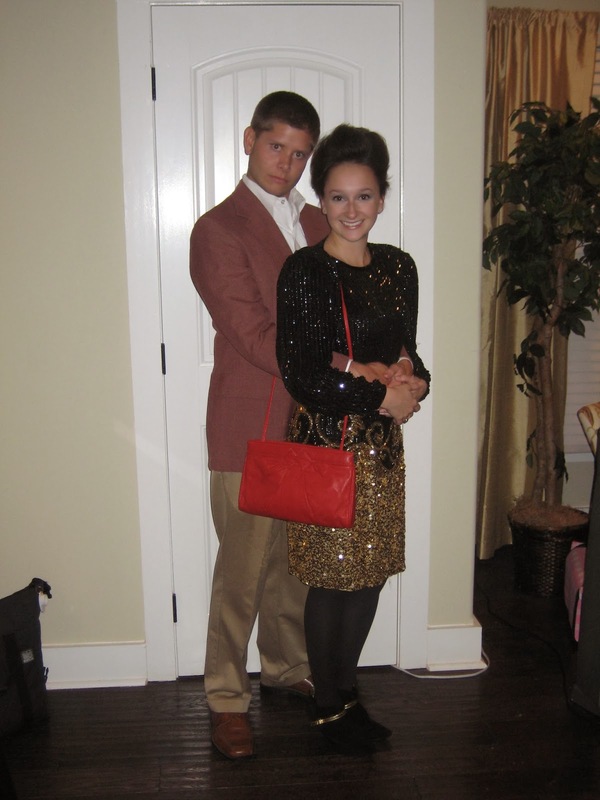 Too many trips to the tanning bed and ten pounds later came my Sophomore year, and I was Audrey Hepburn. Everything about this photo just screams college. My apologies if I offend anyone by this borderline inappropriate picture. It was just too good not to include. Junior year was the year I thought I was too cool to dress up for Halloween, so I was the girl dressed in regular clothes at a Halloween party. 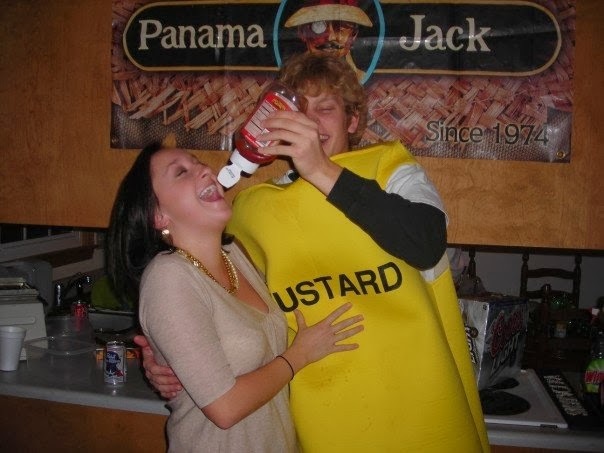 The only picture I could find was this one, getting a shot of ketchup from mustard. Oh the things you think are hilarious when you're three cups of PJ down. For my senior year my sorority had an 80's mixer at Halloween. The dress I got was awesome. It actually had three extra shoulder pads sewn into each side, because the original ones clearly weren't big enough for the original owner. I must admit, it was one of the most comfortable Halloween costume I've ever worn, and man do those shoulder pads make your waist look small. haah that dress is great on the last one! I love old pics and Halloween recaps. I did one too and loved looking at my old pics. I totally remember that soph year party! P.s. Congrats aunt Laura!, being an aunt is the BEST! !